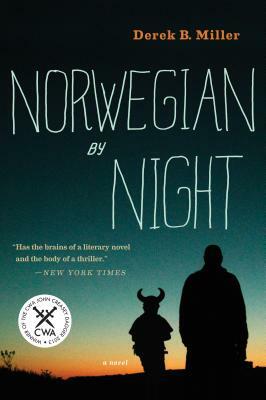 "Derek B. Miller's debut novel, Norwegian by Night, is about aging snipers. Or, it's about parenting and loss. Or, the lingering traces of the Korean and Vietnam Wars. It feels about as full as life itself, and almost as real." "Miller's affecting debut, about a cantankerous Jewish widower transplanted to Norway who becomes party to a hate crime, is an unusual hybrid: part memory novel, part police procedural, part sociopolitical tract and part existential meditation. Miller, an American living in Oslo...makes the setting a powerful character...The novel, first published in Norway, was worth the wait."